SLC Menu Show search box. Note: No tutoring sessions are offered during winter intersession, finals week or summer. 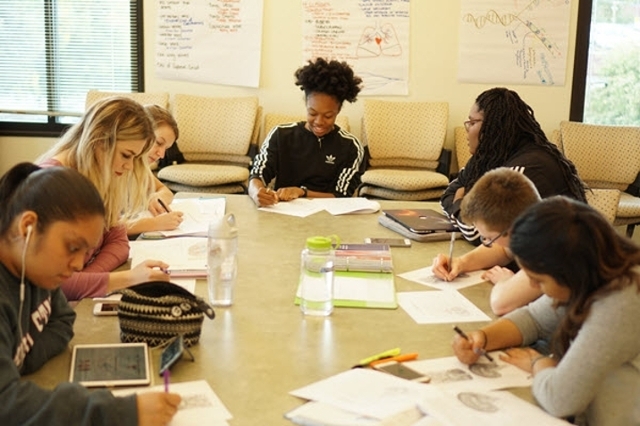 Supplemental Instruction (SI) is an academic assistance program that utilizes peer-assisted study sessions to increase student success in historically difficult courses. SI sessions are held 3 to 4 times per week by an SI leader who has already mastered the course material in a specific course. The SI leader is faculty-recommended and extensively trained to facilitate group sessions where students can meet to compare notes, improve their understanding of course material, review and discuss difficult concepts, develop study strategies ad prepare for exams. SI is for ALL students who want to improve their understanding of course material and improve their grade!